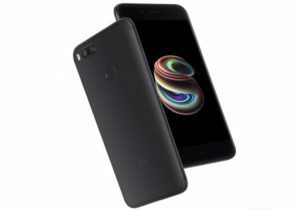 Xiaomi, a Chinese Smartphone marker, known for it specially crafted proprietary MIUI OS today, launched Mi A1, an Android One dedicated smartphone with Google stock Anddoid OS. Remember the Mi 5X introduced in China back in July? Yep! The Mi A1 is the international version of it, so for those who would prefer MIUI, the Mi 5x should be you best bet. As for the Mi A1, the devices is based on Android 7.1 (Nougat) and it will get Android 8.0 (Oreo) by 2017. It will also be one of the first phones to get Android P. Xiaomi said that Mi Camera, Mi Remote and Mi Store apps will be pre-installed. It will come with unlimited high quality photo and video backups in Google Photos. It has 12MP dual rear cameras, one with a wide-angle lens and other with a telephoto lens offering portrait mode, background blur, 2x optical zoom and more. It has a 5.5-inch 1080p 2.5D curved glass display, is powered by an Octa-Core Snapdragon 625 Mobile platform. It has a unibody metal design with rounded edges and is just 7.3mm thick. There is a fingerprint sensor on the back and the phone packs 3080mAh built-in battery and comes with 380v charger to handle power spikes. Xiaomi also said that starting from India, Mi A1 phones will come with dual pyrolytic graphite sheets that will help to diffuse and radiate heat quickly. 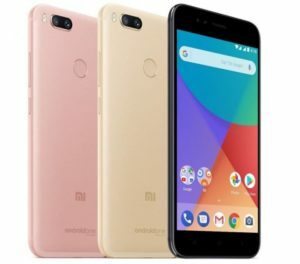 The Xiaomi Mi A1 comes in Black, Gold and Rose Gold colors, and will be available exclusively from Mi.com online as well as Mi Home stores and other offline retailers starting September 12th at 12 noon in India, with other countries to follow gradually.